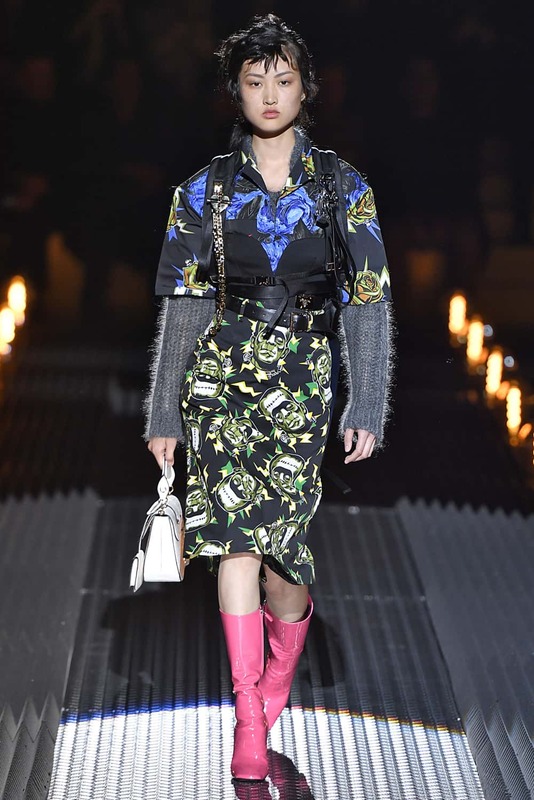 Usually winter-time fashion shows have us looking ahead to warmer weather, and longing for when the collection will be wearable. 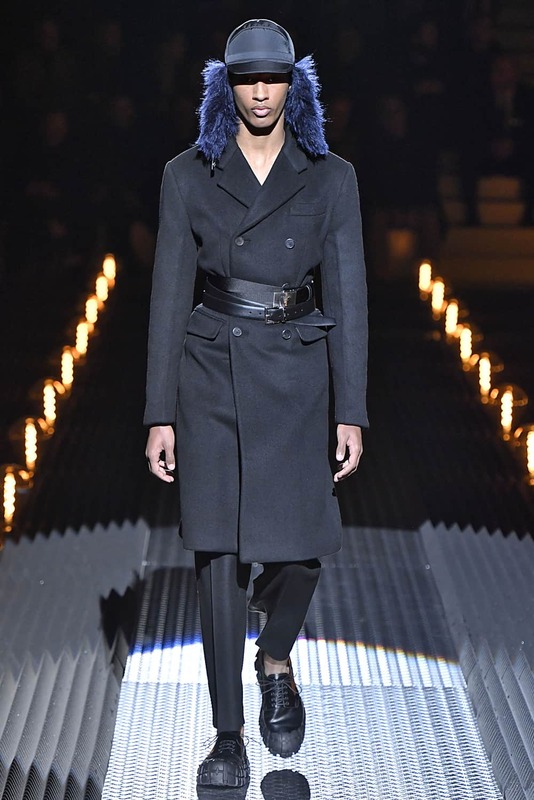 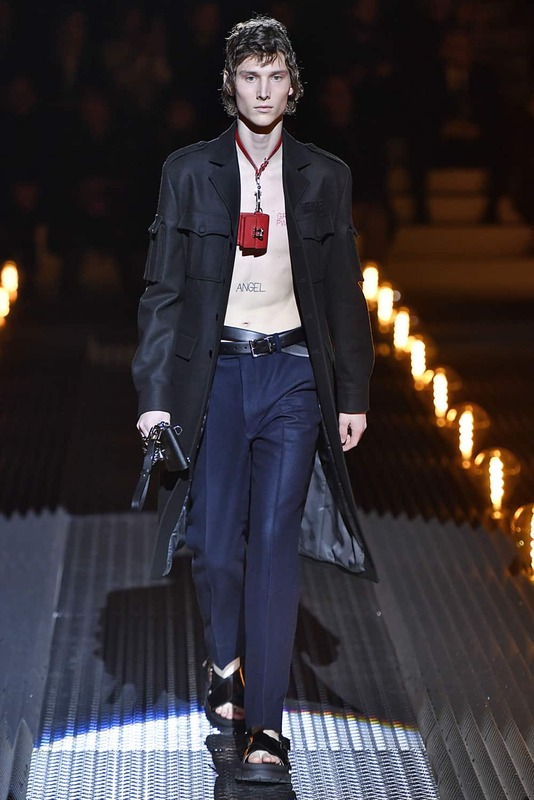 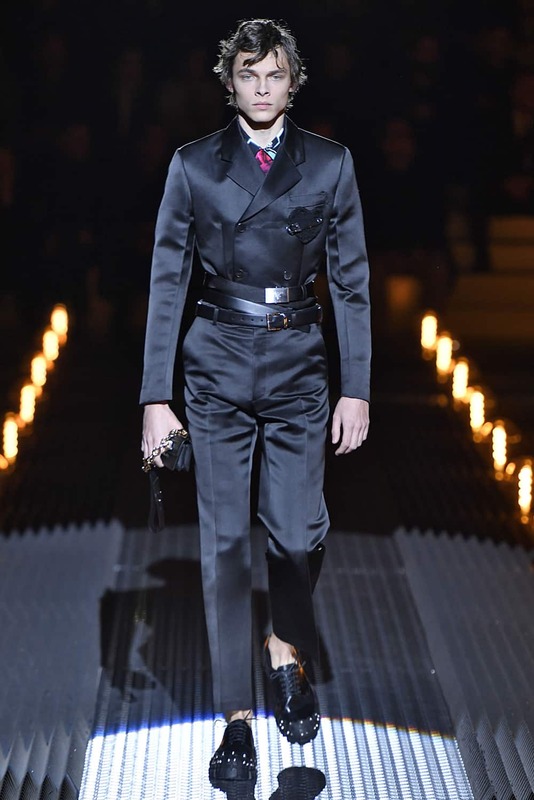 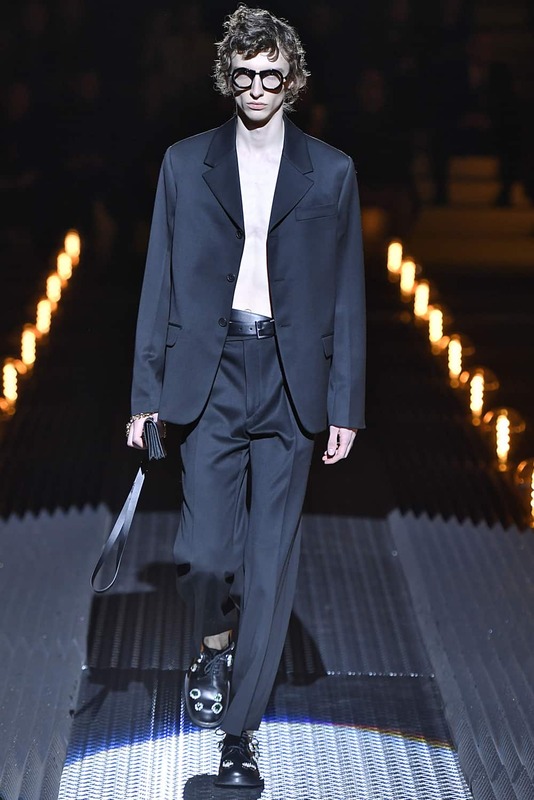 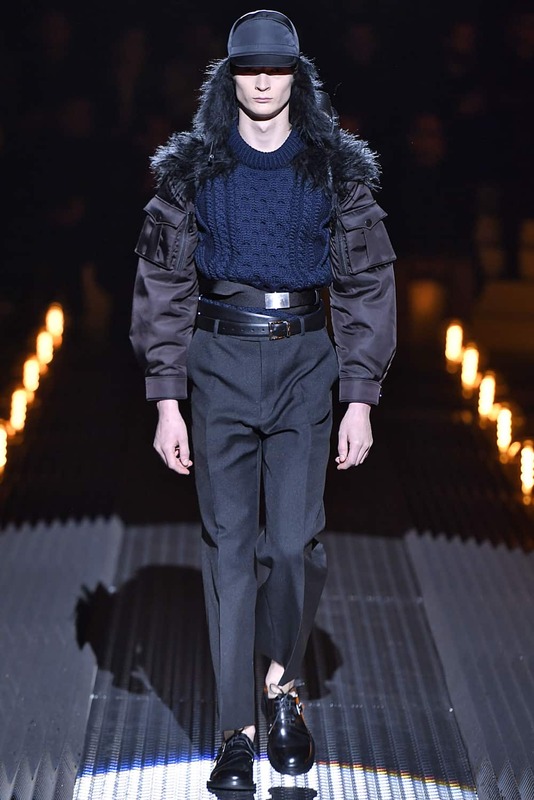 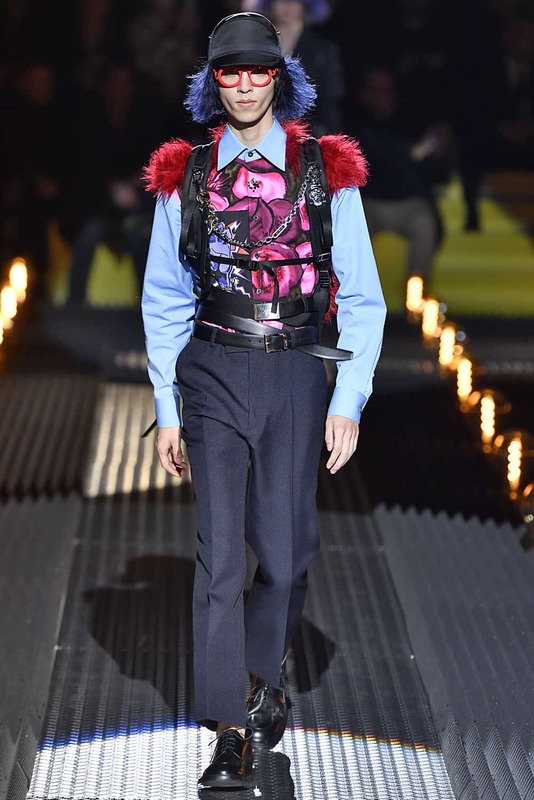 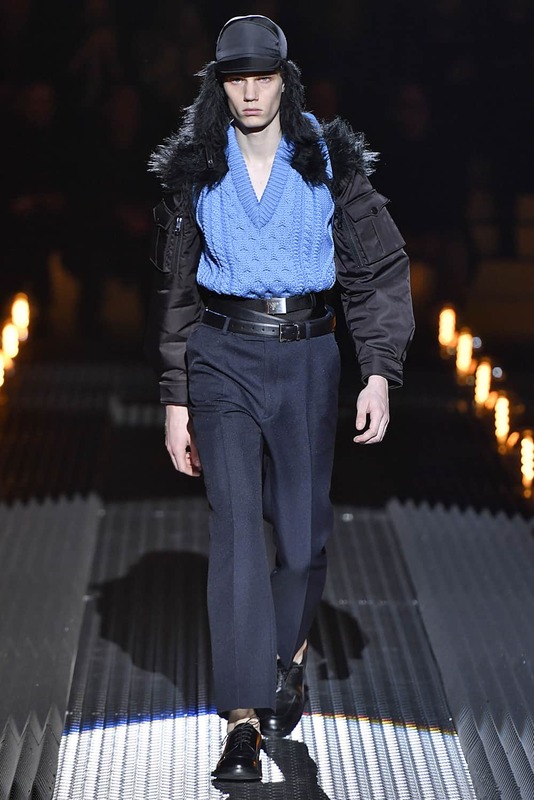 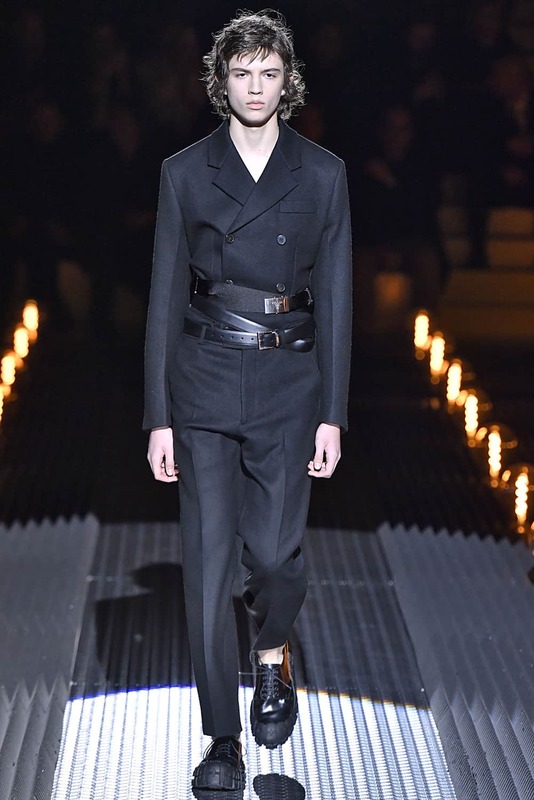 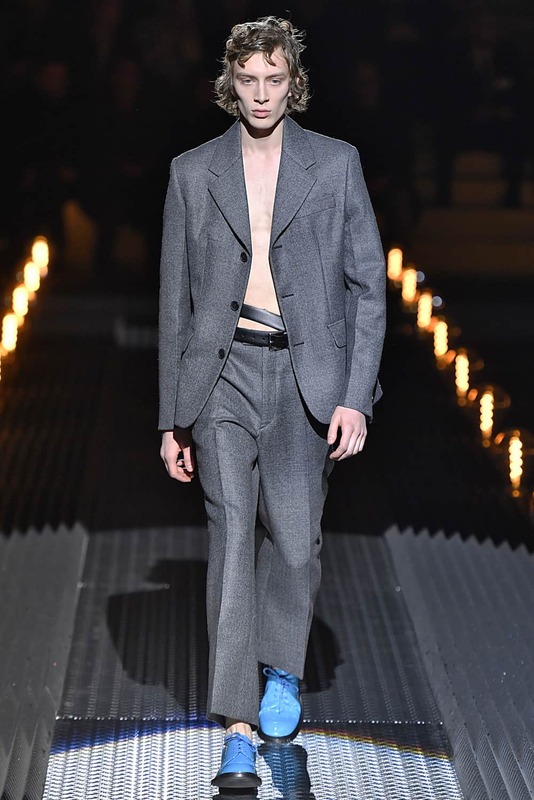 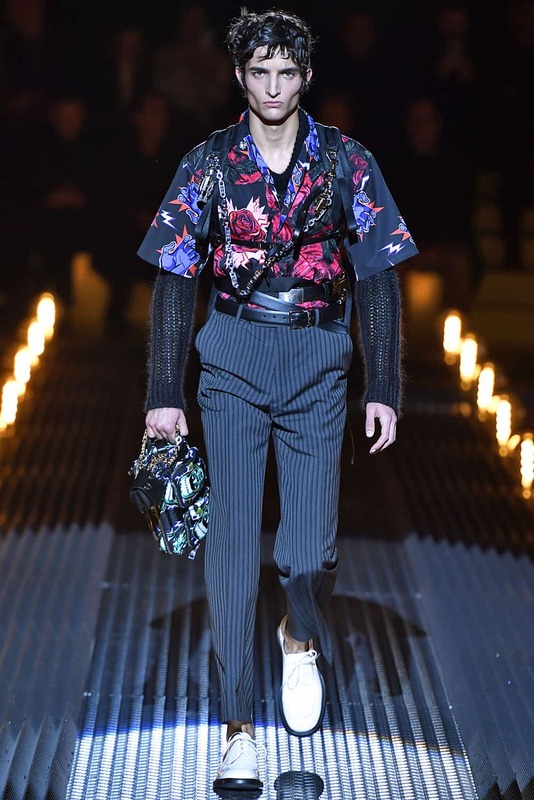 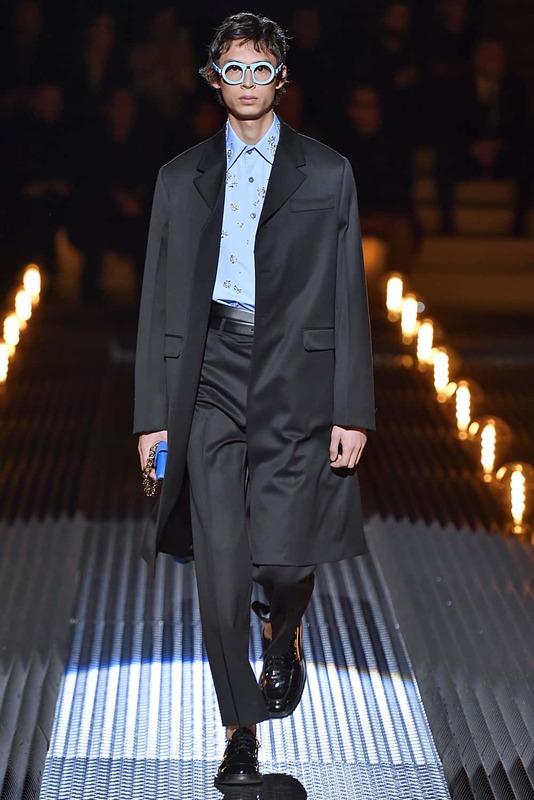 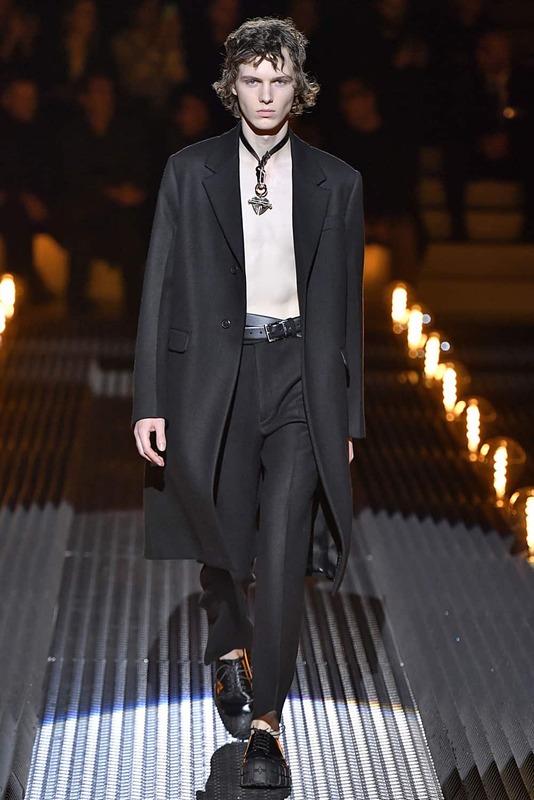 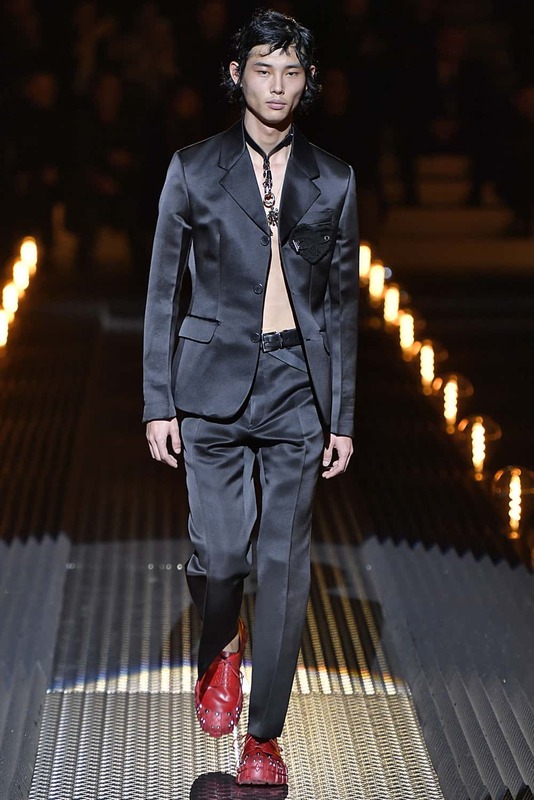 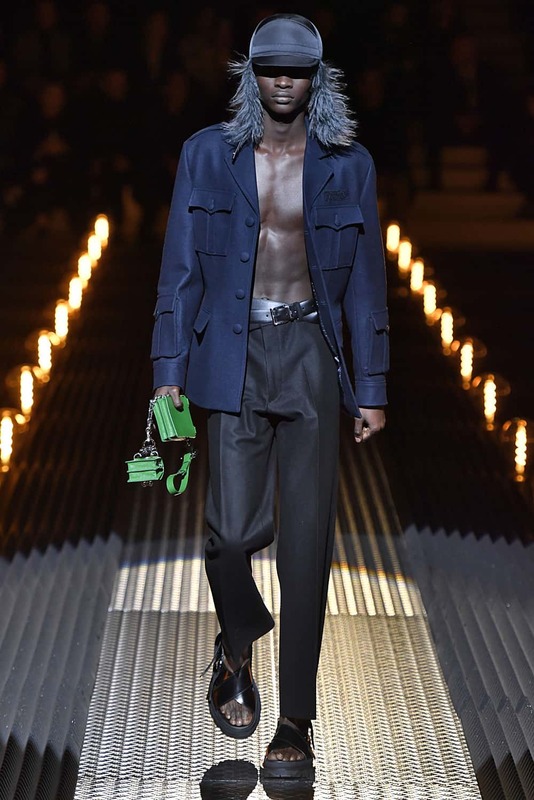 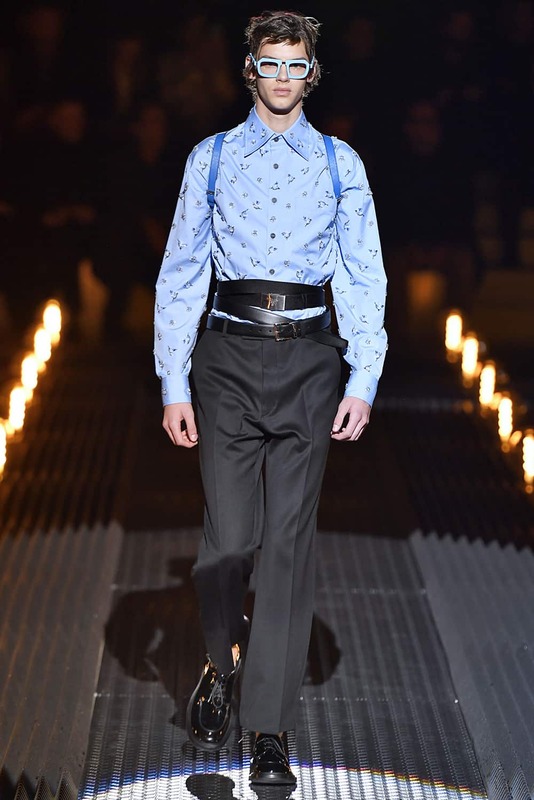 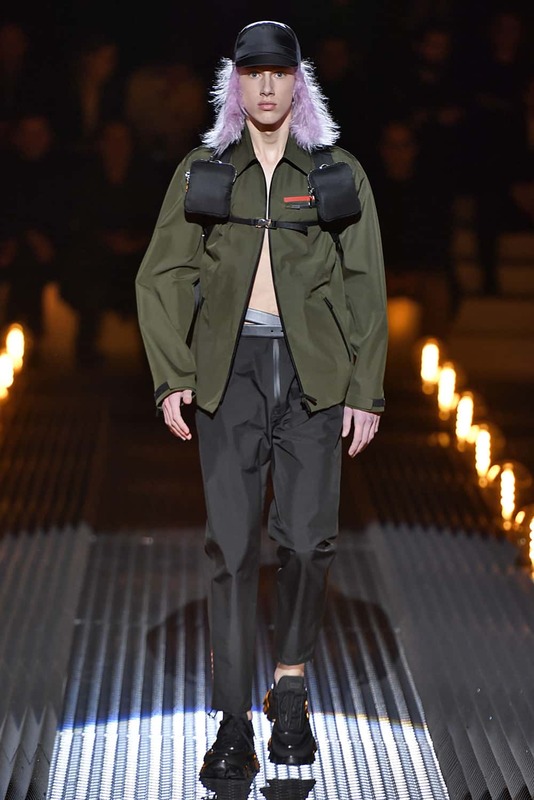 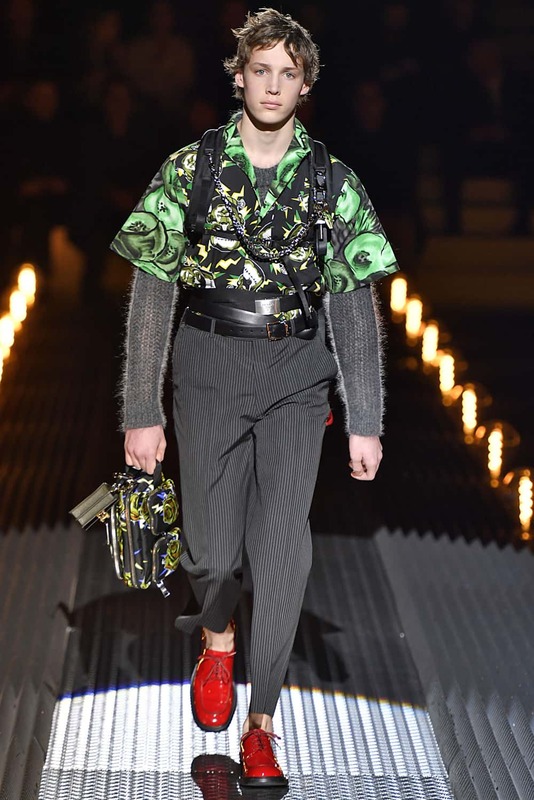 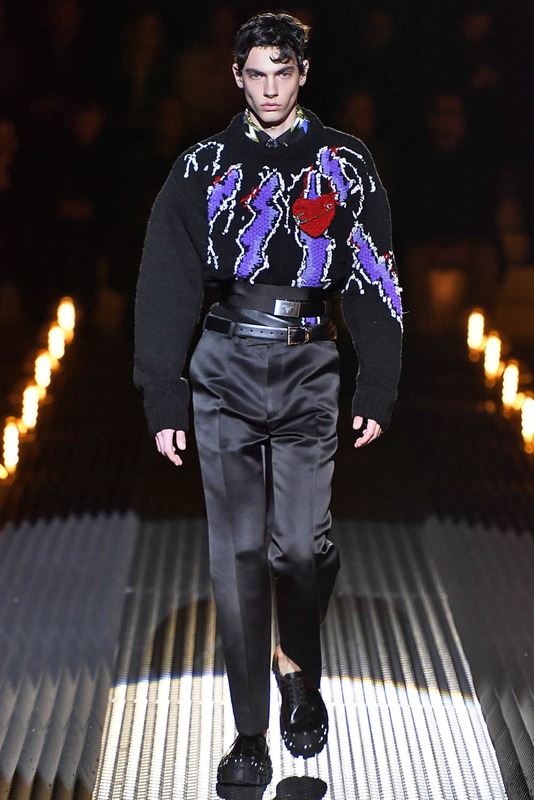 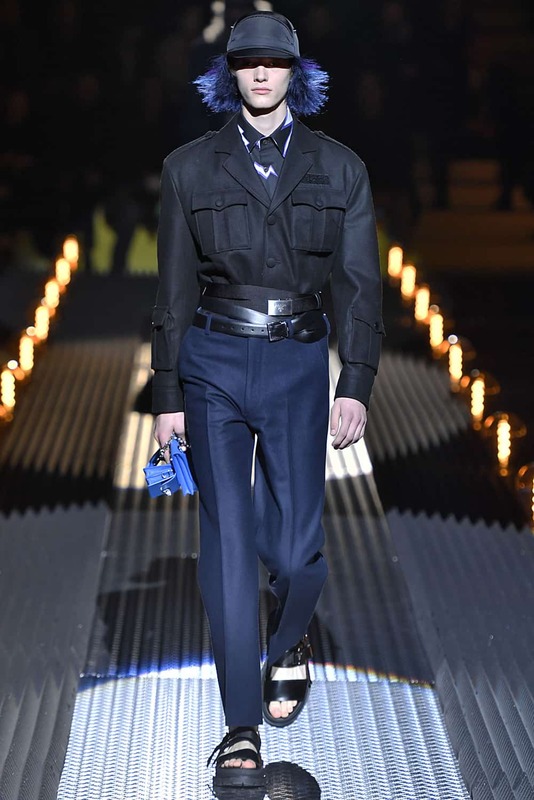 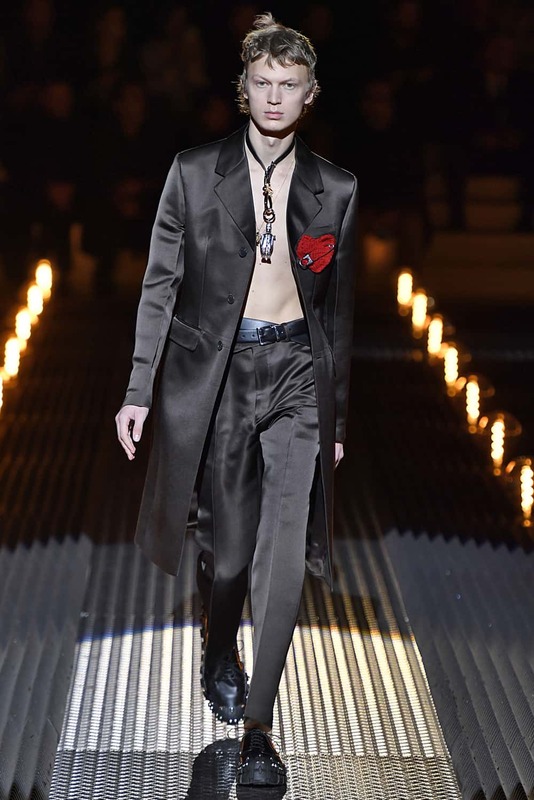 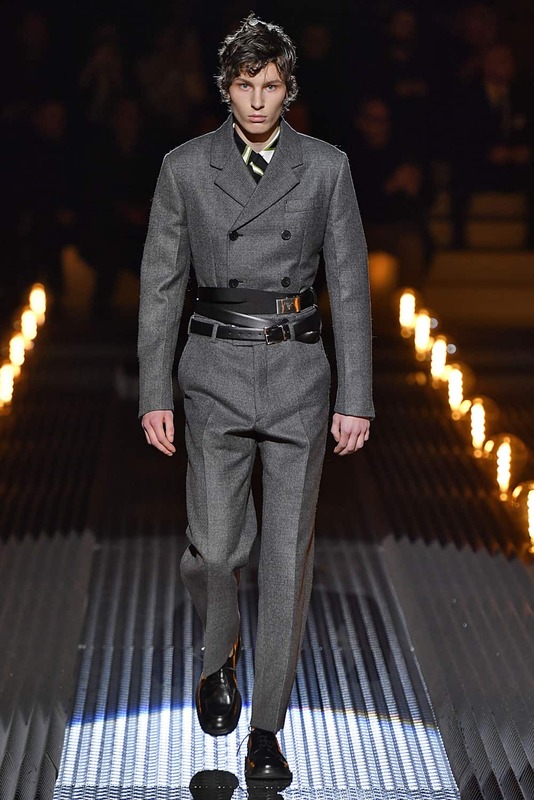 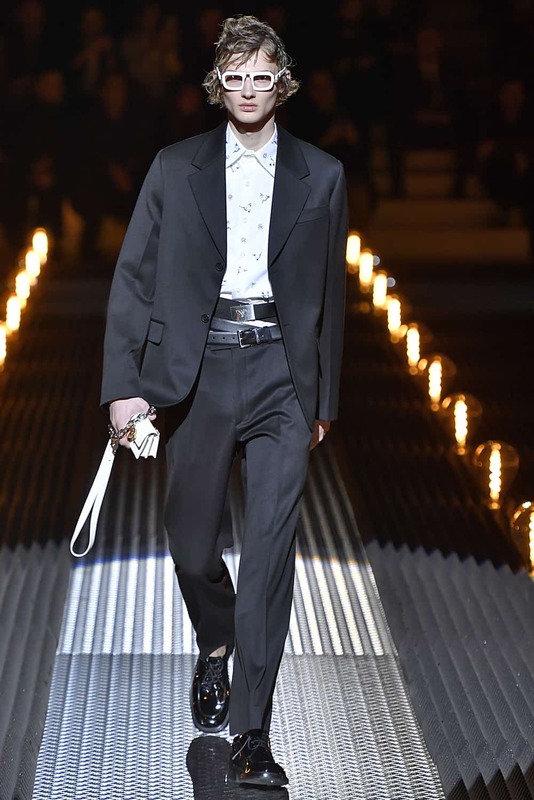 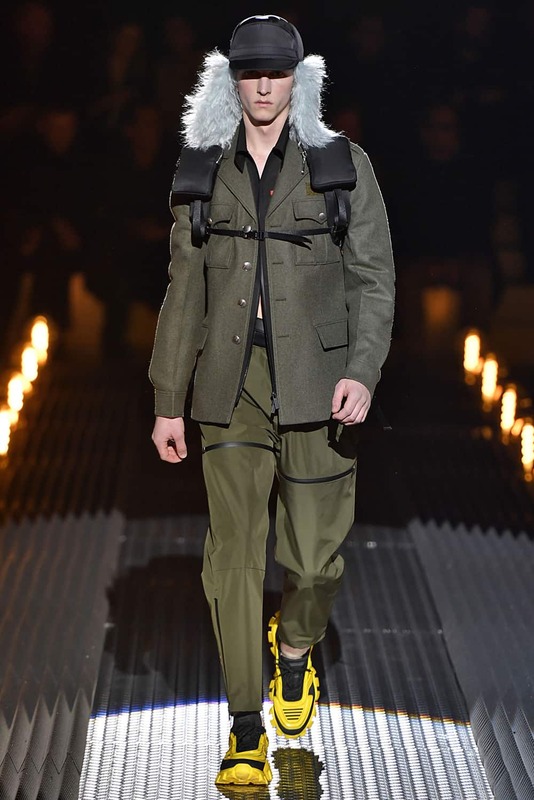 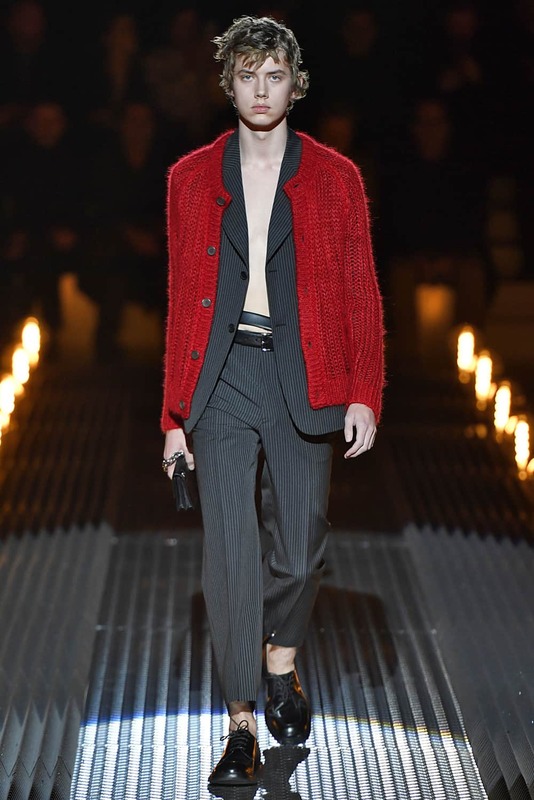 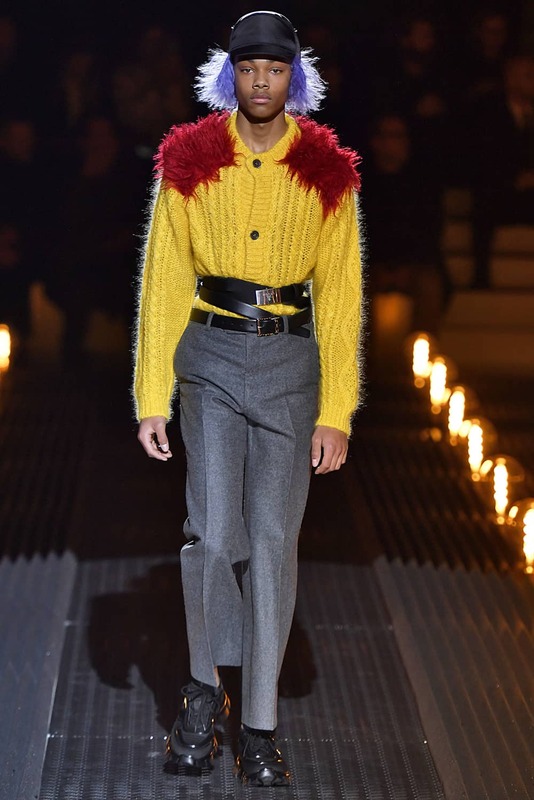 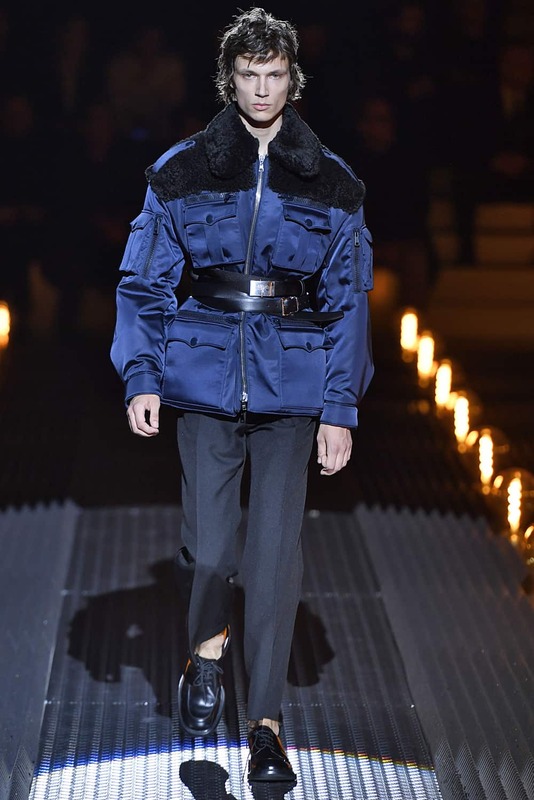 But the new Prada menswear show has us wishing we could wear it now. 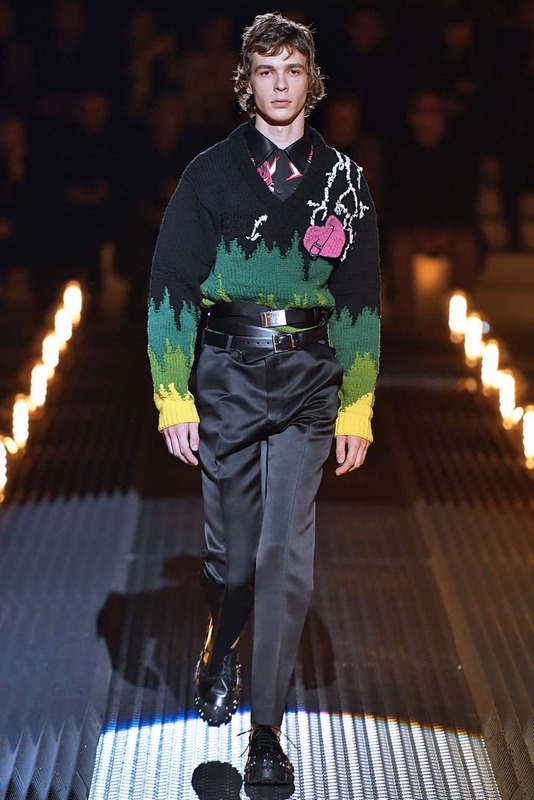 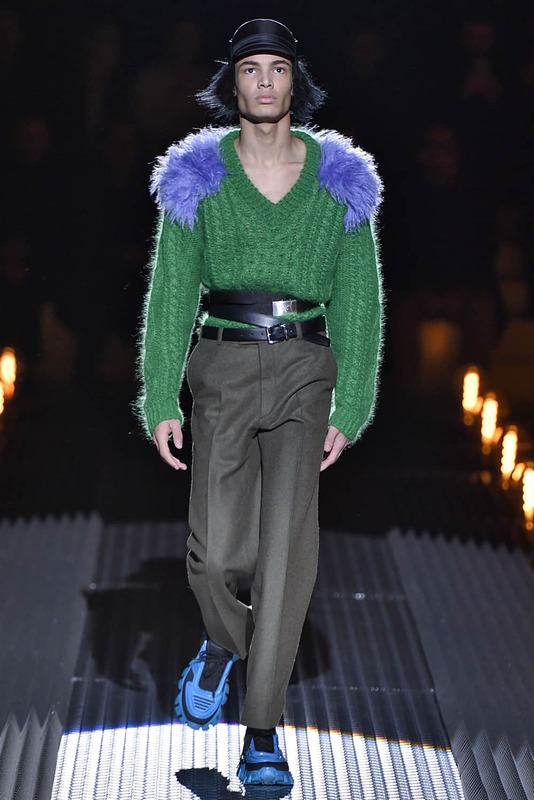 With heavy knits, fuzzy appliqué, and lots of layers, the collection (menswear, Fall 2019) looked incredibly warm and cozy. 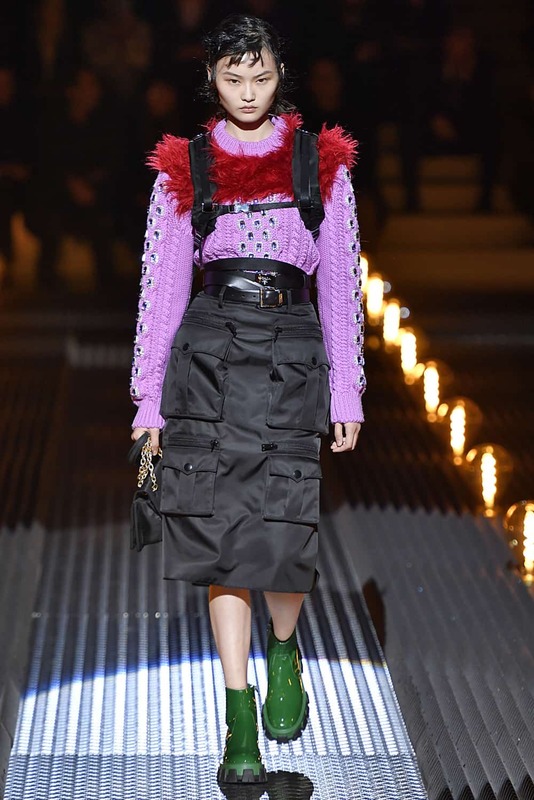 Vibrant pops of pink, green, and light blue elevated the mood of the collection to something happier, if not eye catching. 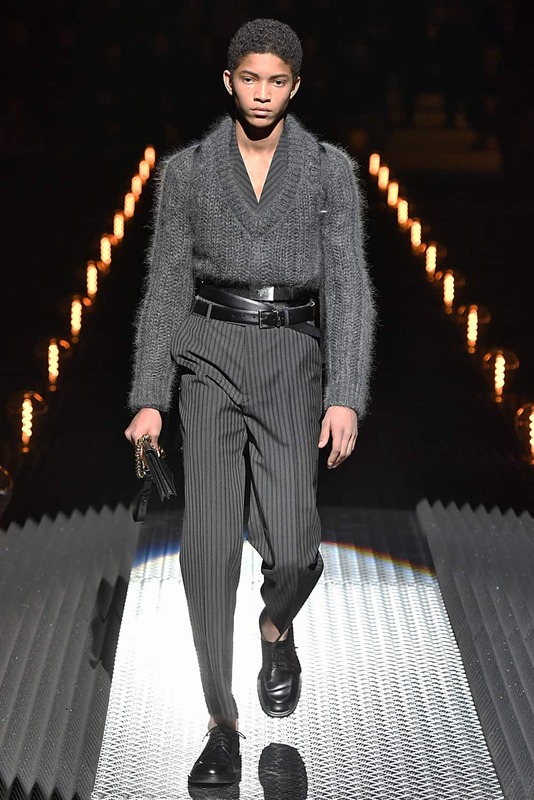 It’s certainly a tonic for the grey winter skies currently plaguing the northern hemisphere. 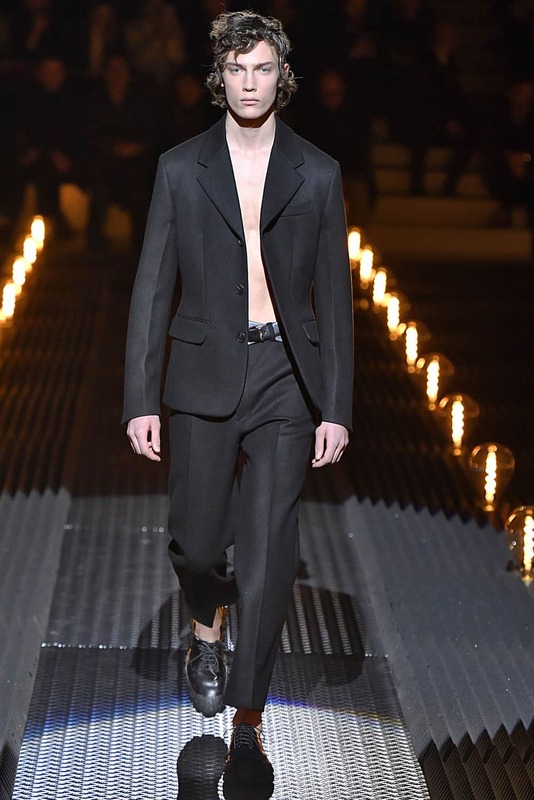 Though it was officially a menswear show, there were ladies on the runway. 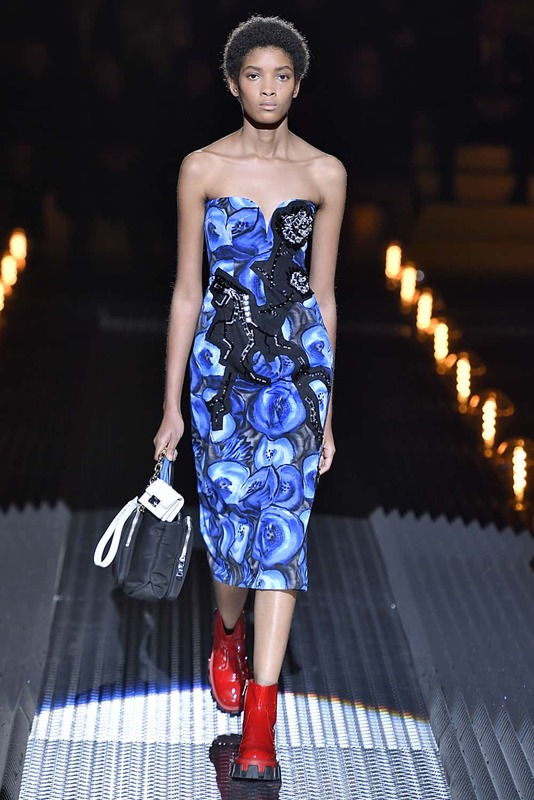 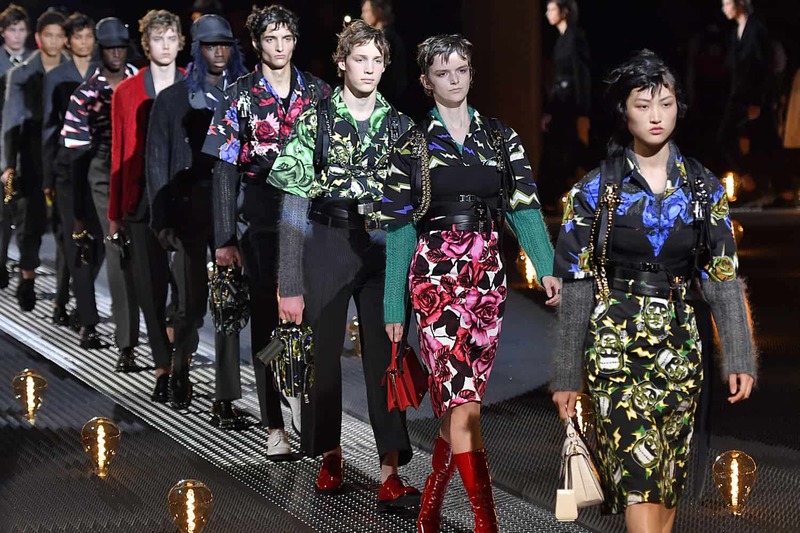 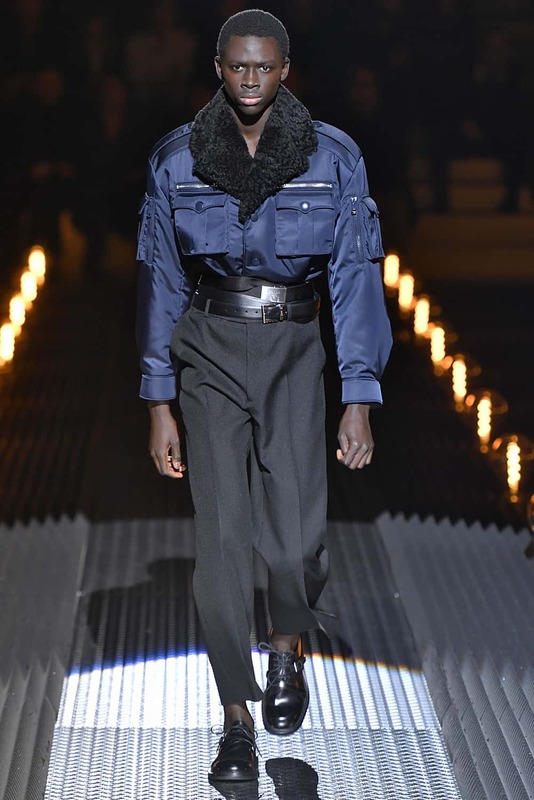 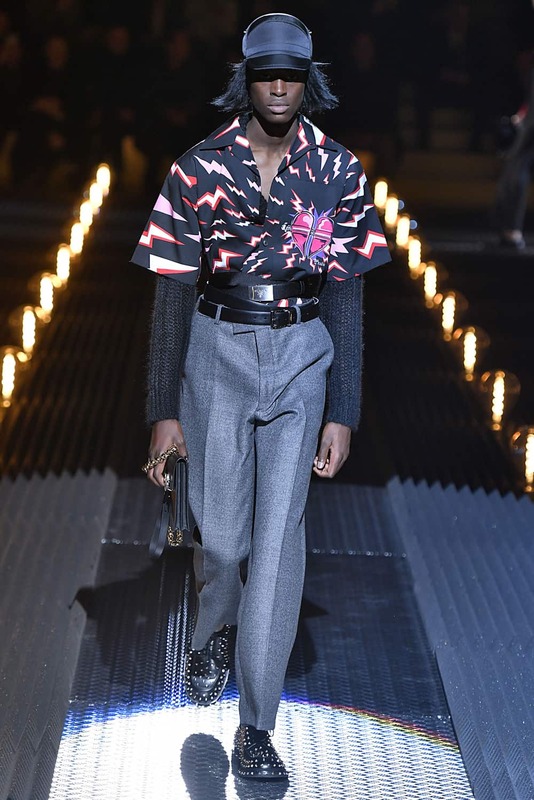 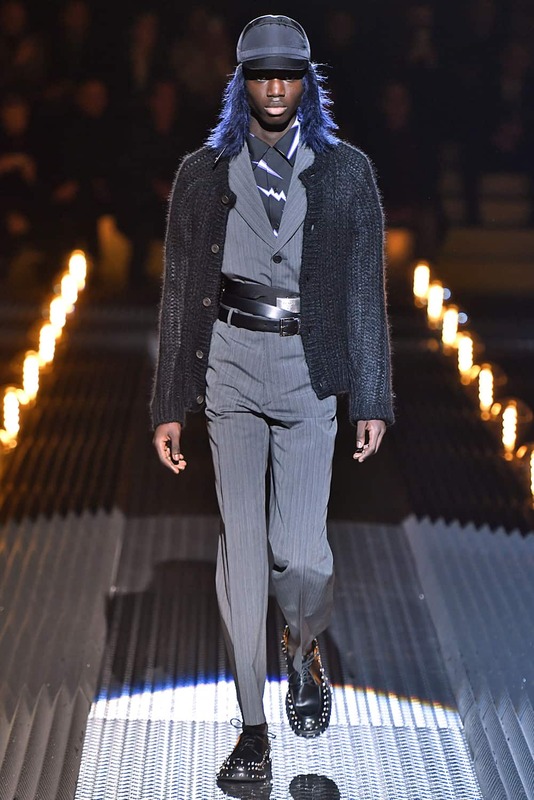 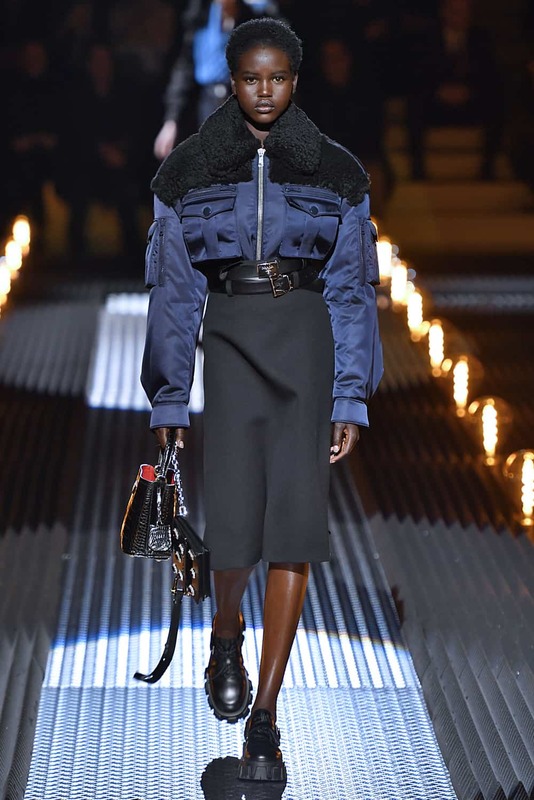 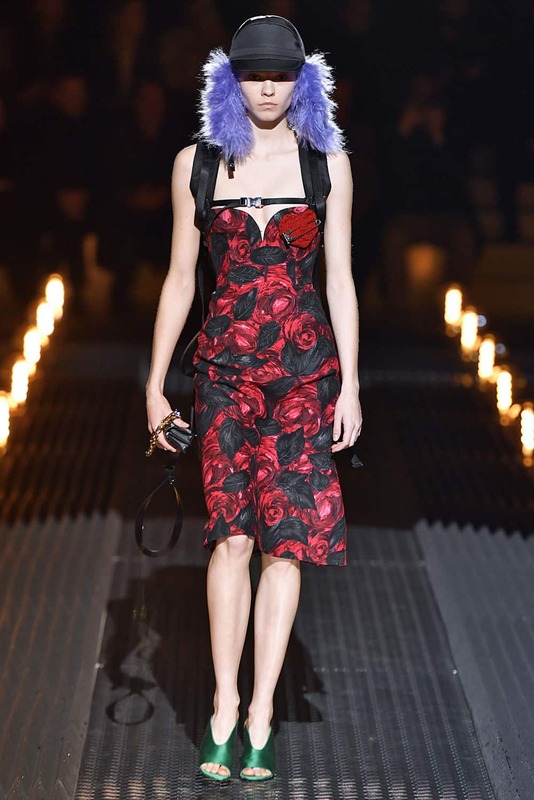 Many, including Kaia Gerber and Adut Aketch, were already part of the Prada family. 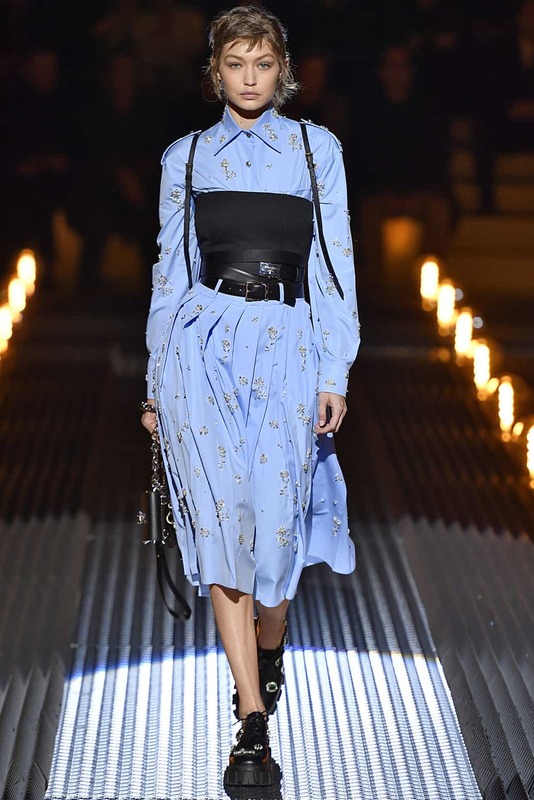 But there was one surprising newcomer to the mix: Gigi Hadid! 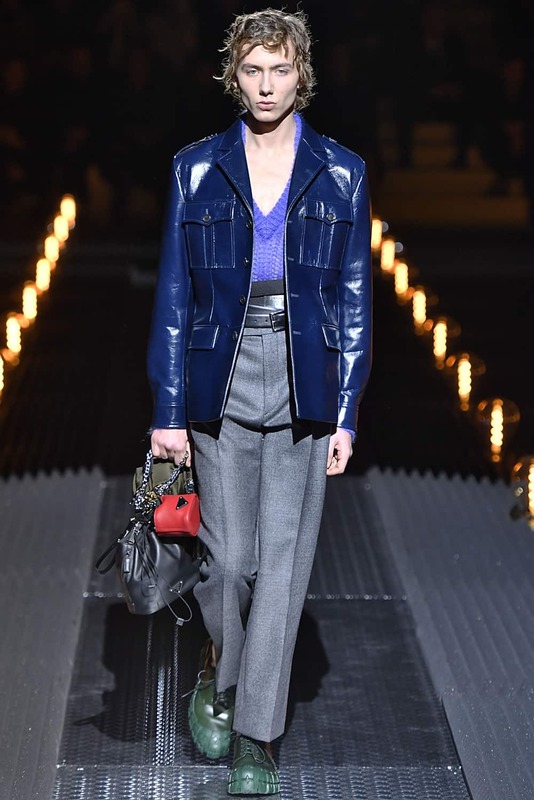 Though she appears in the brand’s latest campaign, this is the first time she has ever walked its runway. 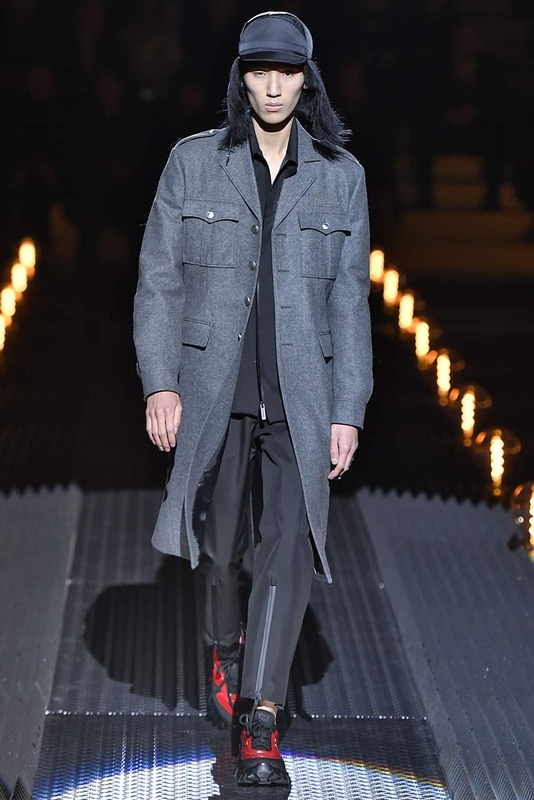 The energy of the collection’s prints and details were offset with sharp suiting. 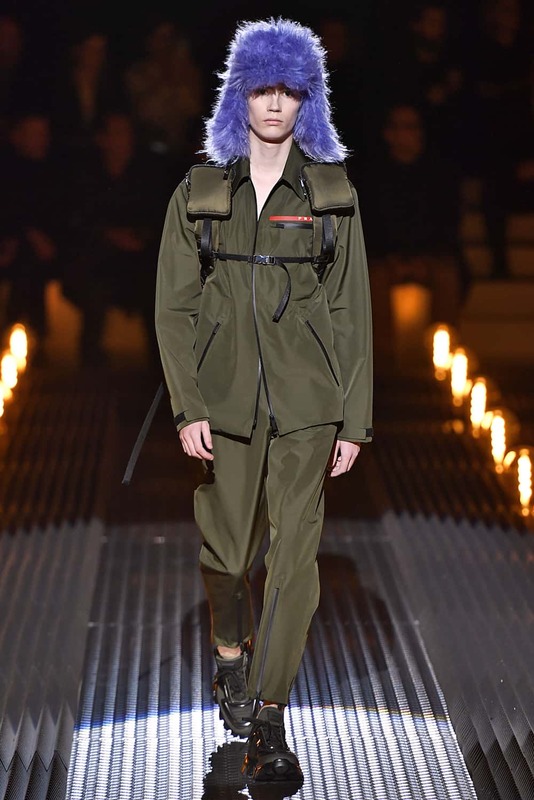 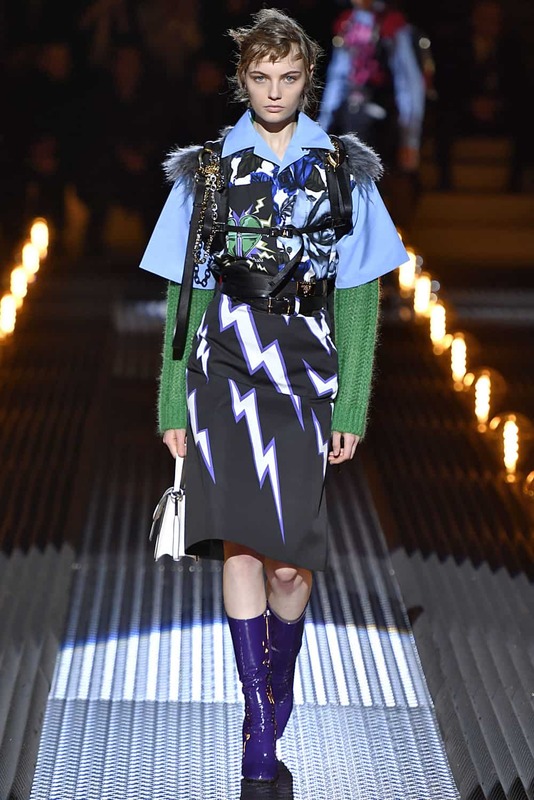 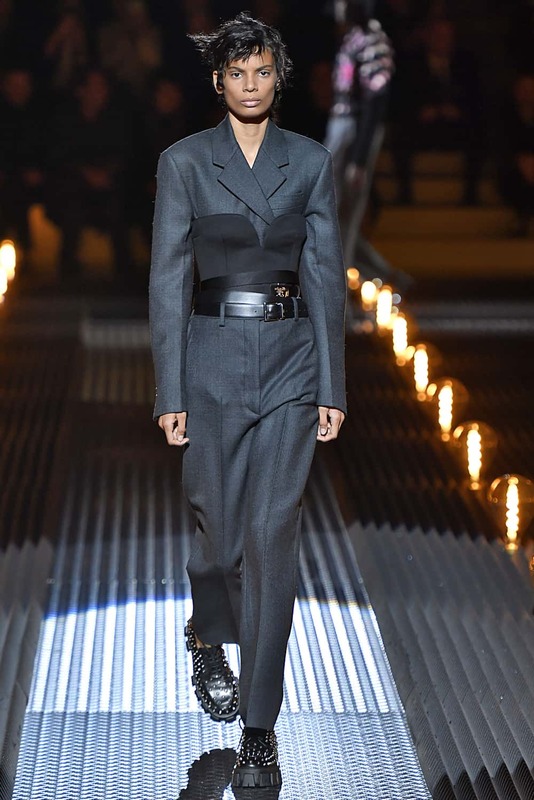 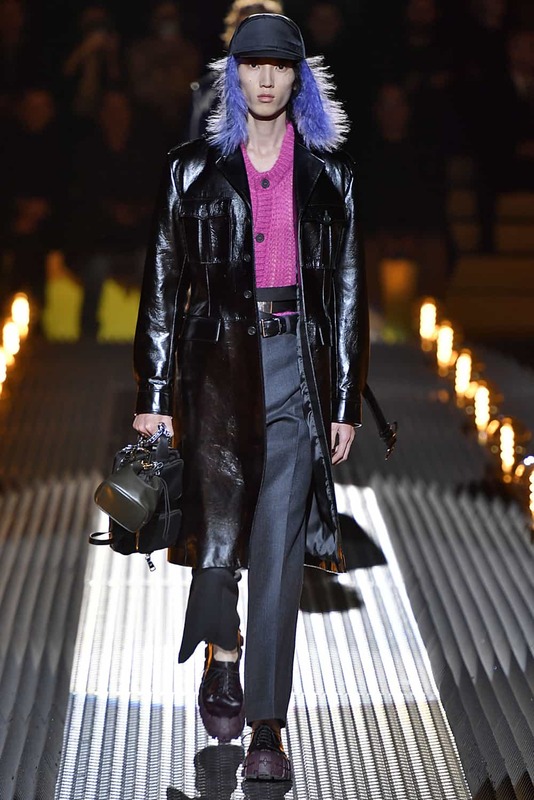 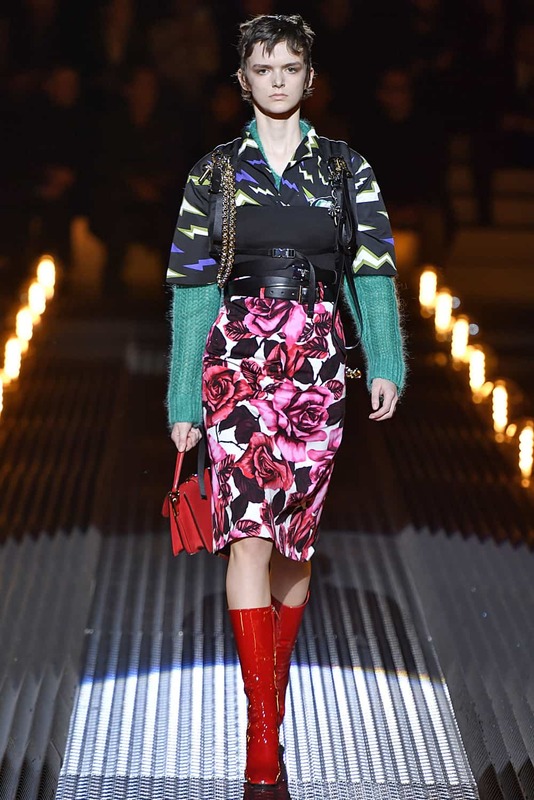 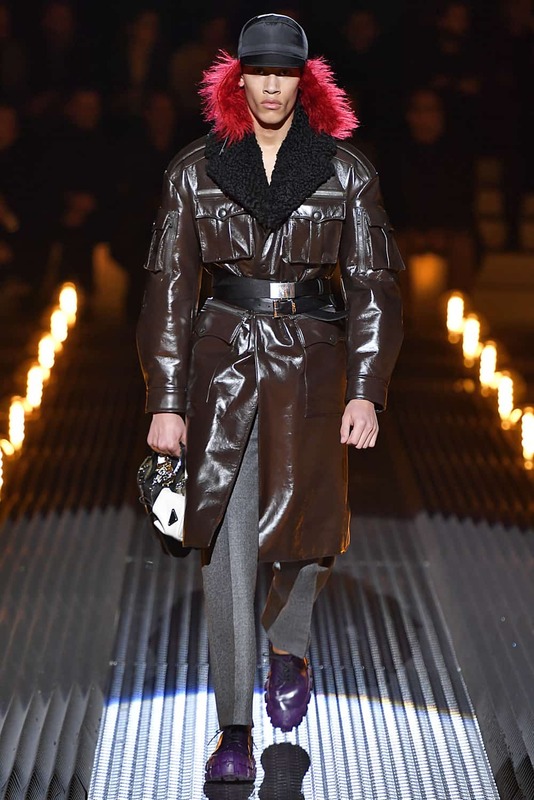 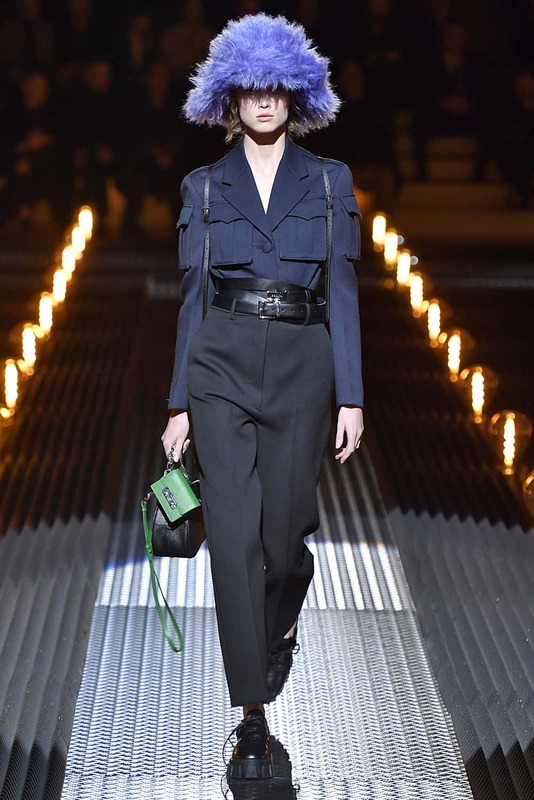 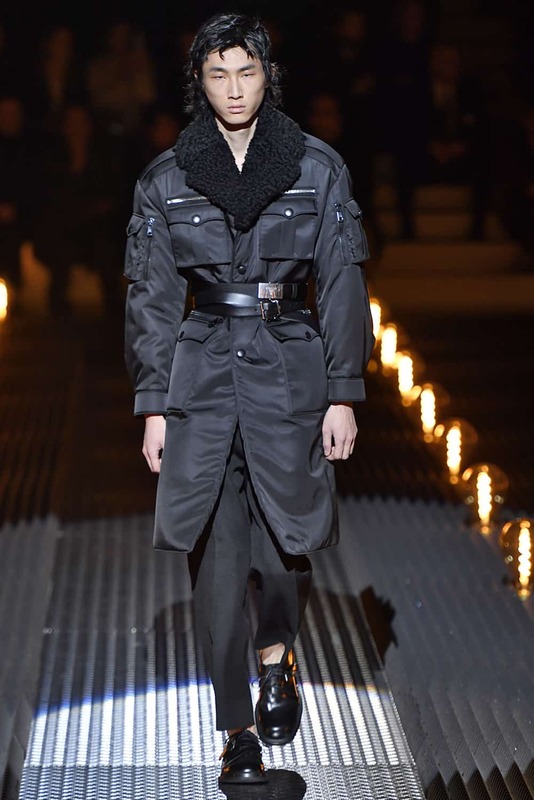 Continuing her streak of utilitarian flourishes, Miuccia Prada included large patch pockets throughout the wares, proving that dressing functionally and dressing fashionably are not mutually exclusive.